Hire this venue for your own event - it has one function room which can hold a maximum of 80 guests. 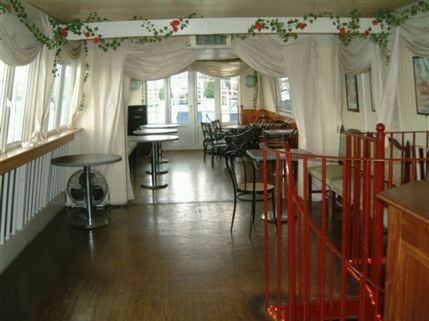 In the shadow of the Battersea Power Station, the Battersea Barge is a unique venue that's open daily for food, drink and unique events, as well as the option of private hire. It's licensed for wedding ceremonies and parties of all kinds while regular events include comedy nights, dance lessons and boat parties. From cheap budget places to stay to luxury 5 star suites see our special offers for The Battersea Barge hotels, including Grange Tower Bridge Hotel from 70% off.